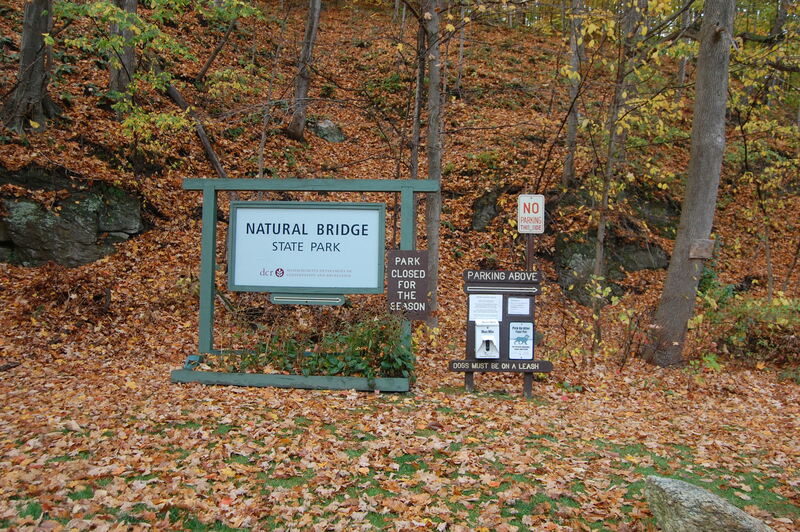 Natural Bridge State Park - North Adams, MA - Take a day trip! 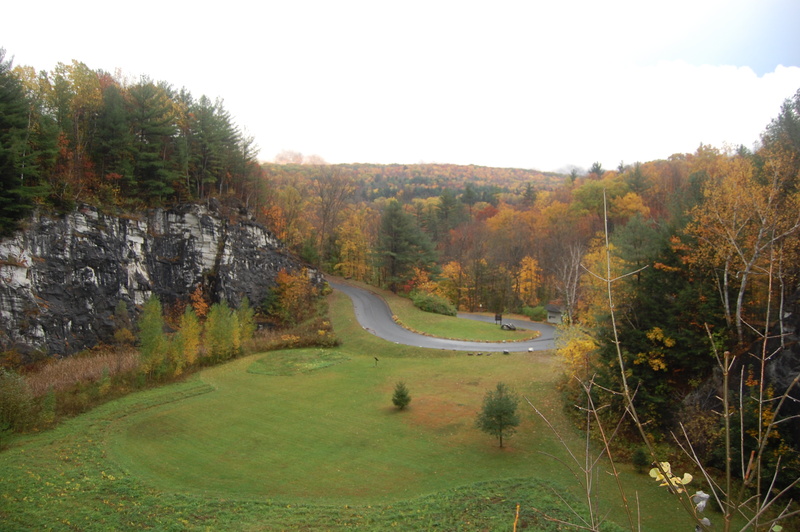 Site of of former marble quarry. 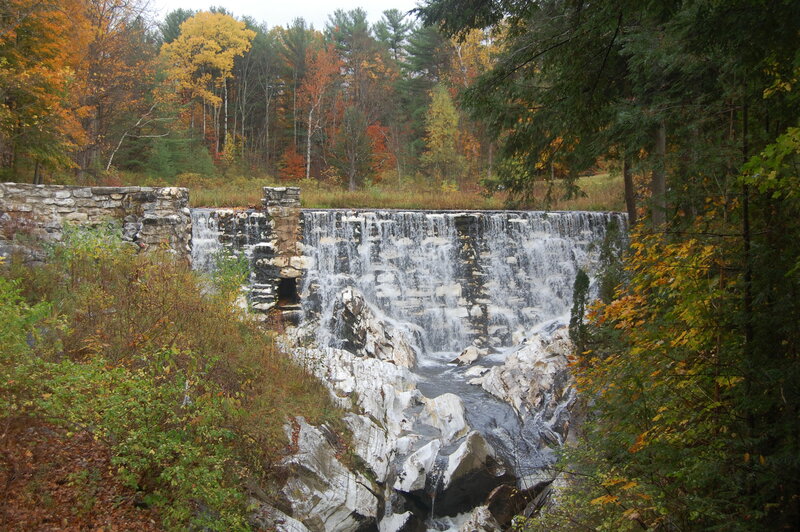 waterfall with several catwalks and viewing platforms over a small ravine and stone natural bridge that gives this park its name. 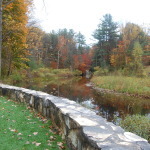 Plan on spending around an hour or so to get a complete look at the park with a little more time in the colder months when the road is closed and you need to hike up to the main section. 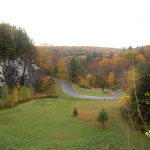 Foliage at Natural Bridge State Park. 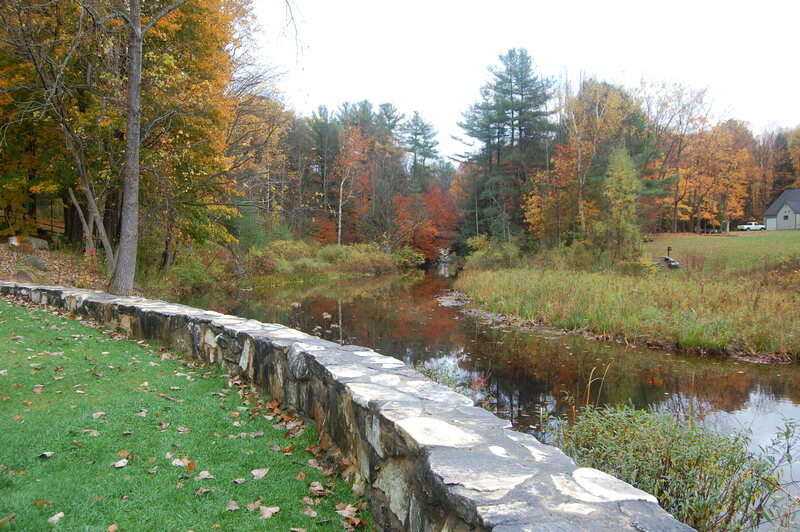 accessible with a wide access road – however the section with the wooden catwalks and viewing areas isn’t. 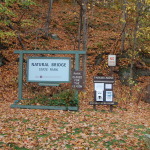 Natural Bridge State Park Entrance sign in North Adams.